Of course you CAN! Last week, this recipe went out to my Spring Training fam. 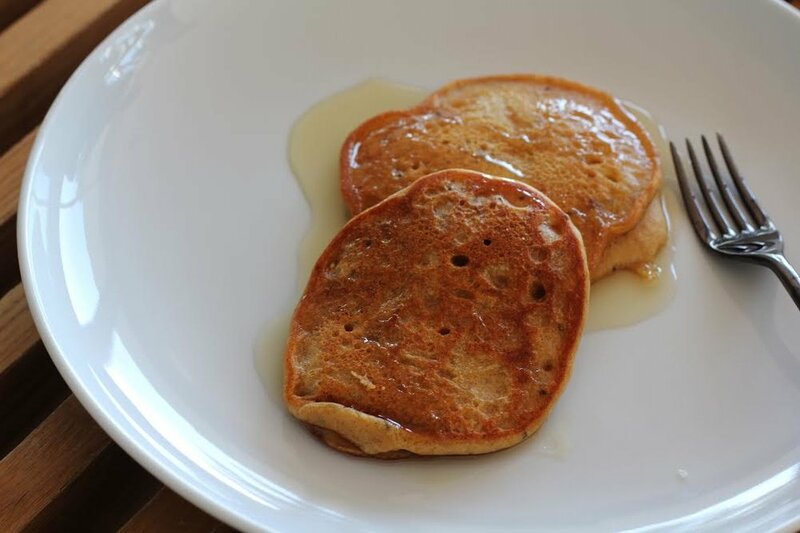 These healthy pancakes are delish, guilt-less, and you have options to control dairy and sugar. This was Mars's plate (above) but I like mine loaded with berries. Cassava flour is a grain-free, whole food based flour and it's awesome because it mimics gluten so the pancakes come out all thick & fluffy. It’s made by dehydrating and then grounding the cassava root. Makes 7-10 pancakes. Enjoy! 1. Mix eggs, coconut oil, yogurt/almond milk. 2. Add the cassava flour, coconut sugar, baking soda, spices and salt; mix well. 3. Cook for approx 2 min. per side on a greased skillet over med. heat, or until brown & cooked through. 4. Serve w/ fresh fruit & maple syrup (opt).